Alibaba, the world’s biggest e-commerce company is poised to grow in India. In fact, this Chinese e-commerce has already started setting up its core Indian team. 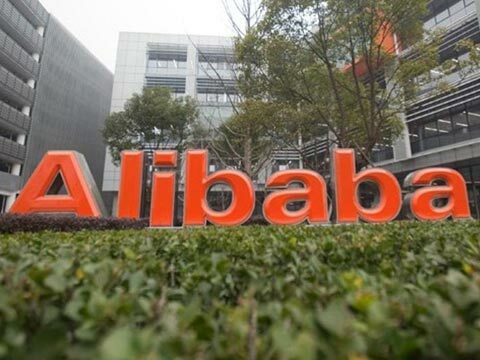 Alibaba had lead the investment in the online retail marketplace of Paytm, marking the formal entry of the Chinese major into a market where it will now compete with US’ Amazon and India’s Flipkart. No doubt, Alibaba has done benchmarking innovations in overall e-commerce business, now they have gone a step far. ‘New Retail’ is the latest innovation by Alibaba which integrates e-commerce, store and logistics. Alibaba Founder and Chairman Jack Ma coined the term “New Retail” in a letter to Alibaba’s shareholders in October last year. In a public interaction Ma has said last year, “Pure e-commerce will be reduced to a traditional business and replaced by the concept of New Retailâ€•the integration of online, offline, logistics and data across a single value chain. We believe that this is very much how next-generation commerce will look globally, with large retailers and niche category specialists leveraging technology to provide an integrated service with the consumer at its core.” Let’s try to understand what the concept of ‘New Retail’ is all about. New Retail: A Lesson for all of us! Off late, the omnichannel is the new buzz that seems to be a weapon especially for offline retailers to compete with e-commerce market places. If we compare it to American market, during 90’s when Amazon and e-retailing disrupted the shopping behavior of Americans, retailers as well as consumers began to rethink their deeply ingrained habits. By contrast, till recently Indian orgazinsed market was not much developed and e-commerce is kind of new kid in the block. Though, both are enormously growing Industries. Retailers in India are in the process of settling a synergy between online and offline. Alibaba’s New Retail could be disruptor in real sense. Dutch based retail chain Hema Supermarket in shanghai is the 8th store in China and also the best example for all the retailers exhibiting how online and offline shopping are merged into a seamless “New Retail” experience. Hema uses technology in data to provide seamless and more efficient shopping experience to its consumers. The Hema experience starts with a download of the mobile app. That links right up to a customer’s Taobao or Alipay account. Every SKU placed at Hema spermarket is powered by mobile. The customer is just required to download the app and use his/her mobile as the tool to shop. For example Hema is all about fresh foods from all over the world. All products placed inside the store has a barcode on it, all the customer have to do is, use the app to scan the code and you get all the information about the product including MRP, manufacturing , expiring, etc. The application even offer similar recommendations based on the product that the customer have in his/her hand. The biggest attraction of Hema is its seafood section that is because in China there is an long tradition of picking up the fresh food for the consumption. You can have it cooked for you in store just like Jack Ma did once he had visited the store. Hema has the most innovative model as far as online delivery is concerned. The hyper local model of the app allows customers to shop from the comfort of their homes, using a mobile app. Workers of Hema supermarket run around the store collecting items for delivery. Each store serves the radius of about 3kms and they can serve thousands of orders in the day. Each order can be delivered within 30 minutes of time frame. Each worker has scanner and delivery bag with unique bar code placed on it. That barcode responds with a specific order after they finish packing the parcel goes out for delivery. Since 2015, Alibaba has opened 13 Hema markets in China. Apart from the 10 in Shanghai, there are two in Beijing and one in Ningbo. Each aims to serve a customer base within a three-kilometer radius to ensure fast, high-level service. Moreover, Alibaba’s has collaborated with Bailian Group, a retailing conglomerate that is Lianhua’s parent company in order to transform traditional commerce into a new model called as New Retail.